Chef Dunbar Berdine helped make Black Rock Kitchen a destination. 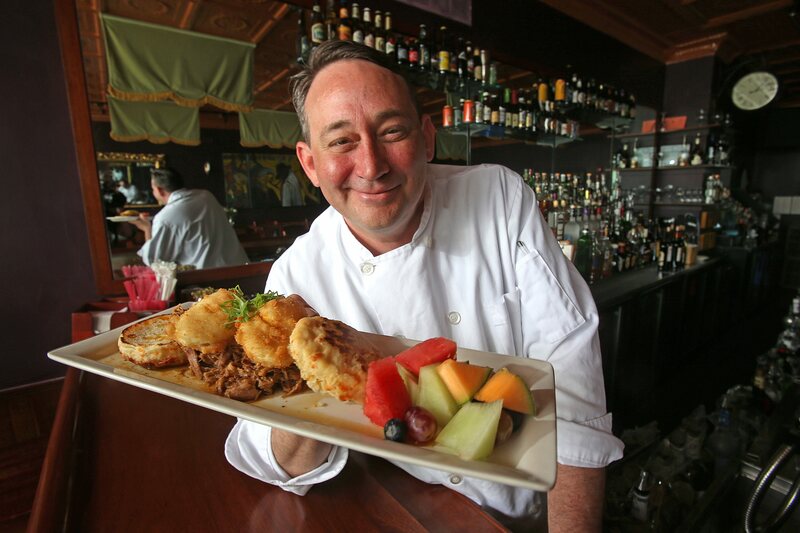 Dunbar Berdine, the chef who shaped Black Rock Kitchen & Bar into an Amherst Street fixture, has left for North Tonawanda. It opened March 14. There’s a jumbo Hawaiian prawn cocktail on the menu, but also a fish fry. Most of the menu will be standards, but there will be daily entrée specials. His fried chicken should be a regular, he said. Owner Jason Sheppard hired him to run the kitchen, as a year-round place, Berdine said. One thing customers should notice is freshly prepped basics like french fries, Berdine said.